When your smile never seems bright enough with daily brushing and over-the-counter products, consider professional teeth whitening services. Dr. Dave Canty at Rollins Family Dental Center successfully whiten teeth for men and women in northeastern Illinois. Call the office in Round Lake Beach, Illinois or book an appointment online to get the sparkling smile you’ve always wanted. Teeth whitening removes stains and natural discolorations to create a brighter, whiter smile. Rollins Family Dental Center can whiten your teeth with a prescription-strength bleaching gel. In-office treatments can take your pearly whites between two to eight shades brighter within an hour. Take-home treatments are also available, which usually require you to apply oral bleaching gels to customized application trays that you bite down on for about an hour. A dental professional at Rollins Family Dental Center uses a color guide to identify your teeth’s current shade and prepares a whiter, more consistent, nature-looking color. Next, your gums and tooth-root surfaces are covered with a protective barrier to ensure your safety. A thin plastic device known as a retractor will hold your lips and cheeks away from your teeth as a professional-strength hydrogen peroxide gel is applied. Your dental professional then applies the bleaching gel with a soft brush to remove stains and age-related discolorations for your enamel and dentin. The gel will be left on for about an hour. When it is removed, you will see the results immediately. Yes, the professional application of hydrogen-peroxide gel is perfectly safe. Although if you have sensitive teeth, you may experience some discomfort during the service, but it should dissipate soon after. Is Prescription-Strength Teeth Whitening for Everyone? Prescription-strength teeth whitening may not be for you if you’re pregnant, breastfeeding, or have gum disease, worn enamel, untreated cavities, or exposed dental roots. Please also be aware the treatment doesn't whiten your fillings, dental crowns, bridges, implants, orthodontic appliances, or any other artificial oral structures. Teeth whitening typically lasts between six months and two years, but results can vary significantly. However, you should know that your genes, age, diet, and lifestyle can diminish the effect since they impact your oral health. For instance, smoking and drinking coffee or red wine can spoil the results. Ready for the fastest way to achieve a whiter smile? 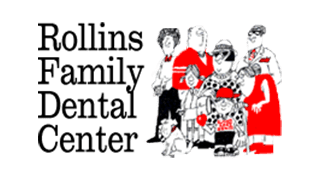 Call Rollins Family Dental Center or book an appointment online for a one-on-one consultation.